I swear I just told you about starting our container garden and now we're nearing the end of July... how did that happen? As they say, "better late than never," so let's catch up on this gardening business. 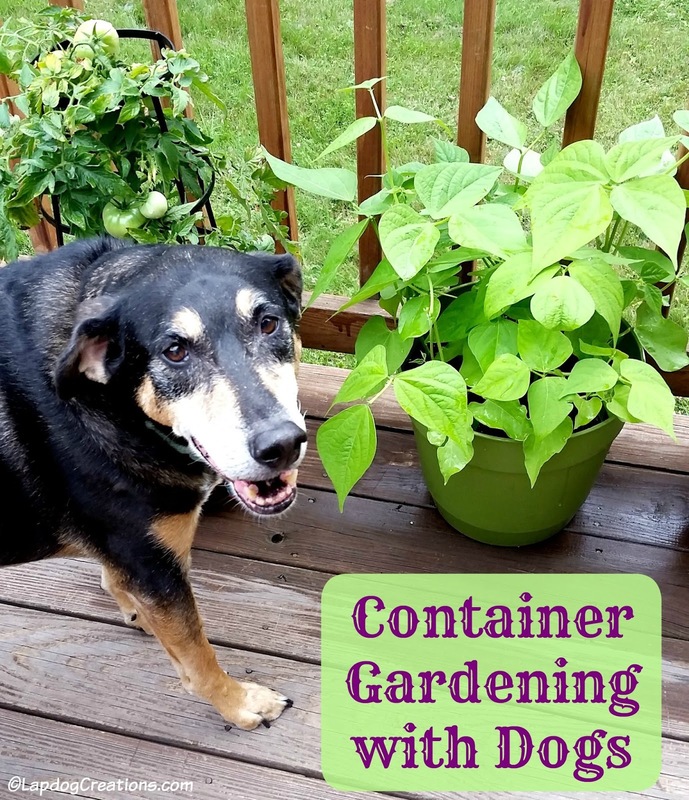 Before I tell you a little more about my container garden, I want to be very clear about a few things. 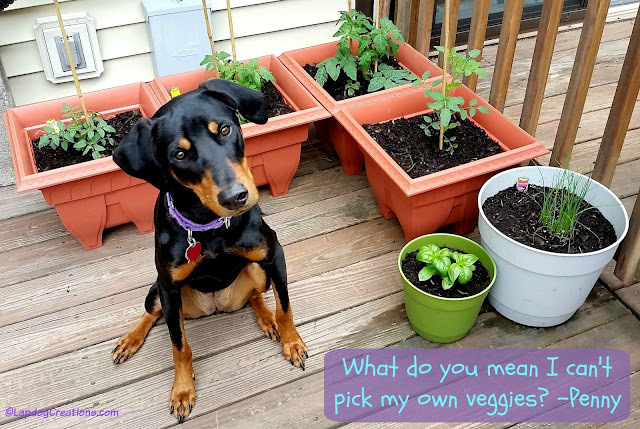 I am not an expert on gardening or plants that are toxic to pets. 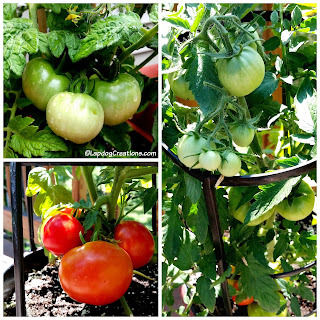 I simply enjoy having fresh tomatoes, basil and other vegetables at my disposal. My dogs do not bother the plants or try to eat them. The one exception was my sweet Lola who got caught - very carefully - plucking ripe cherry tomatoes off the vine on a couple of occasions. In fact, you may notice a lack of Sophie photos in this post. I have three dogs - a curious Doberman mix puppy who loves to smell everything, a senior Coonhound mix who heard beans make you fart (or at least I think that's why he's laughing in the above photo), and a senior Hound mix who doesn't care at all about plants, as long as they don't block her view from the porch. 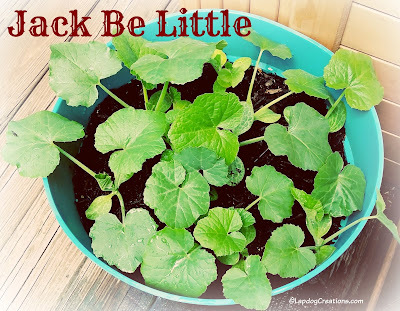 I do not have a green thumb and don't put any effort into my soil content or fertilizing. I visit my local chain store to pick up some plants that have already been started (seed packets for the plants I can't find) and a few big bags of potting soil suitable for fruits and vegetables... bring them home and replant into large pots, then water and watch the magic happen. Sometimes it's not so magical. I've tried broccoli and Brussel sprouts in the past, with no success. I've also had a couple of plants not react well to being transplanted. Lots of tomatoes. I have two Patio, two Yellow Pear, and one hybrid variety that was designed to not grow too tall or wide. While the ripened fruit is considered non-toxic, the green parts of tomato plants - including the stems and leaves - contain solanine, a glycoalkoloid. This is toxic to dogs and cats, however a large amount needs to be ingested to result in severe poisoning. For me, if I'm going to grow fresh tomatoes, I'm going to grow basil too. Nothing beats the combination with mozzarella and balsamic vinegar. YUM-O! 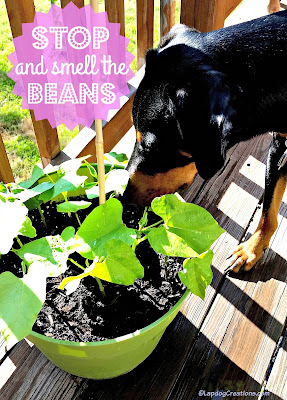 Plus, basil is so easy to grow, you can do it with your eyes closed and it's dog-approved. The regular chives are doing well, however the Garlic Chive seeds that I planted are looking like a flop. I'm not sure why, but I'm hoping they'll start sprouting because I was really looking forward to trying these. While searching for a few more plants to round out my container garden, I ended up disappointed with what was left, so I headed to the seed packets instead. I found lots of packs for cute little pumpkins and thought, why not? The greens are doing well, and just yesterday I noticed some orange flowers coming in. These were an after-thought and by the time I did think about them, all of the plants were sold out (or dying). I bought some seeds and was pretty impressed with how quickly they started sprouting. While I've yet to have super success with string beans, I'm giving them a go once again. Hopefully I get more than a handful this year. I'm not a spicy girl, but I do love bell pepper. I started with two plants, one purple (yes, because purple) and one which I thought was mini-bells. 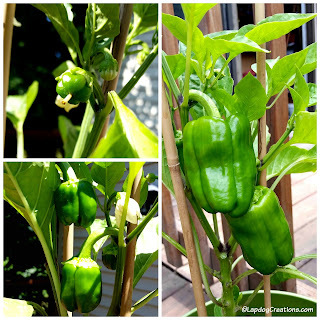 The purple never took after transfer, and the mini-bells turned out to be giant bell peppers (that's what I get for rushing when grabbing plants - but hey, at least it wasn't a hot pepper). I am throwing in the towel on strawberries. I don't know what it is, but this is the second attempt at strawberries and while the plants are growing like weeds, with lots of leafy greens, my berries are duds. This is the first time in several years that I've done a container garden, and while I wish I had planted a few more things, this size is very manageable. Again, I am not an expert and I am not advocating for what you should or should not plant if you have pets. Your pets are different than mine. Your food tastes may be different than mine. Plant what you will enjoy eating, and keep in mind which plants (or plant parts) may be toxic to your pets. If they like to chew on the plants, you should put them in a spot they cannot reach. Or, choose only non-toxic plants. 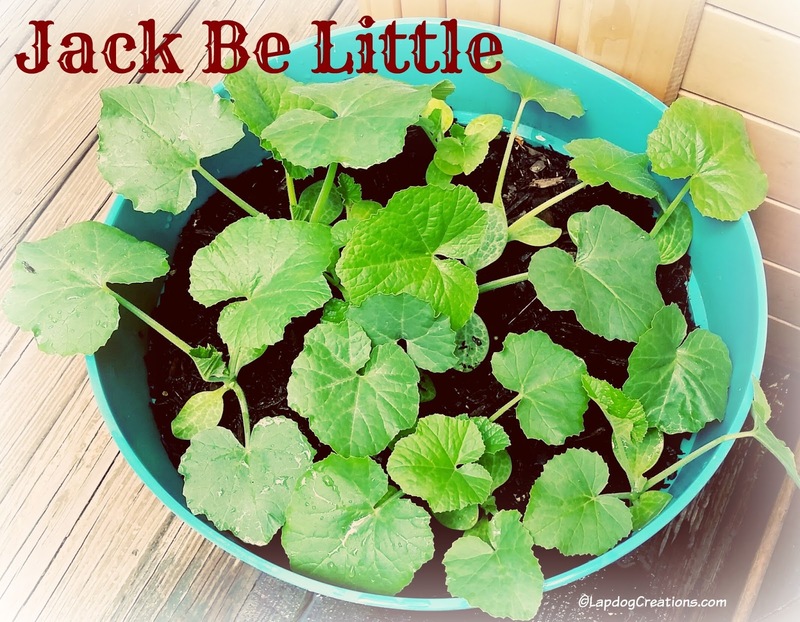 So... what's in your container garden this year? Don't have one? Are you thinking about one for next summer? 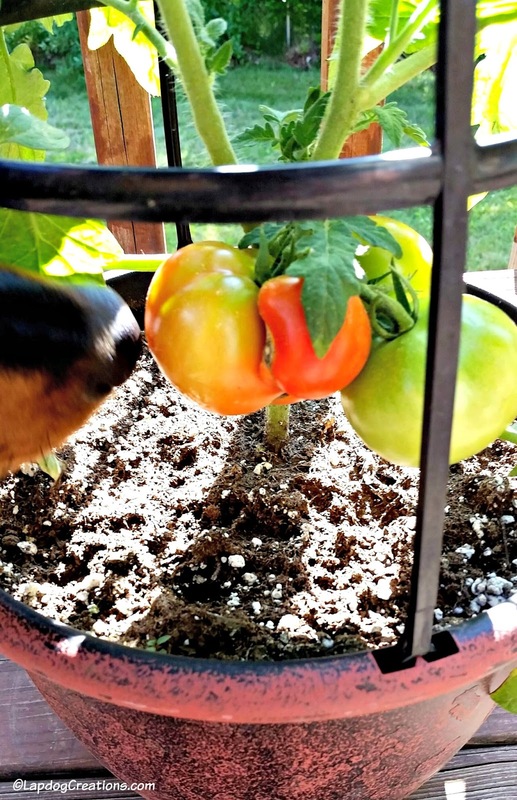 Thank you for this little peak at vegetables and pets cohabiting safely together in your garden. Your tomatoes look delicious and your dog is gorgeous. Good luck with the rest of the growing season and I'm sure you'll get some yummy meals out of your scrumptious offerings. You have a lovely garden! I had to laugh at Lola eating the tomatoes because our neighbours planted some on the other side of our fence and as they grew they came over to our side. Well Edie had herself a little feast on the tomatoes! Love the potted plants, they're great for apartments with balconies! The boys have not been interested in gardening since their third year of having a garden, sadly. I could do a container garden, but this year we've been up to our eyeballs in house repairs (on the bright side, the slate roofers are here this week). Maybe next year. It's nice that the Lapdogs helped you demonstrate how well yours is going. I'd love one but we don't have any space for one. Some day! I love that with containers you can garden anywhere, even a windowsill. Fresh herbs and some salad - right there! I loved the story about the tomato thief! 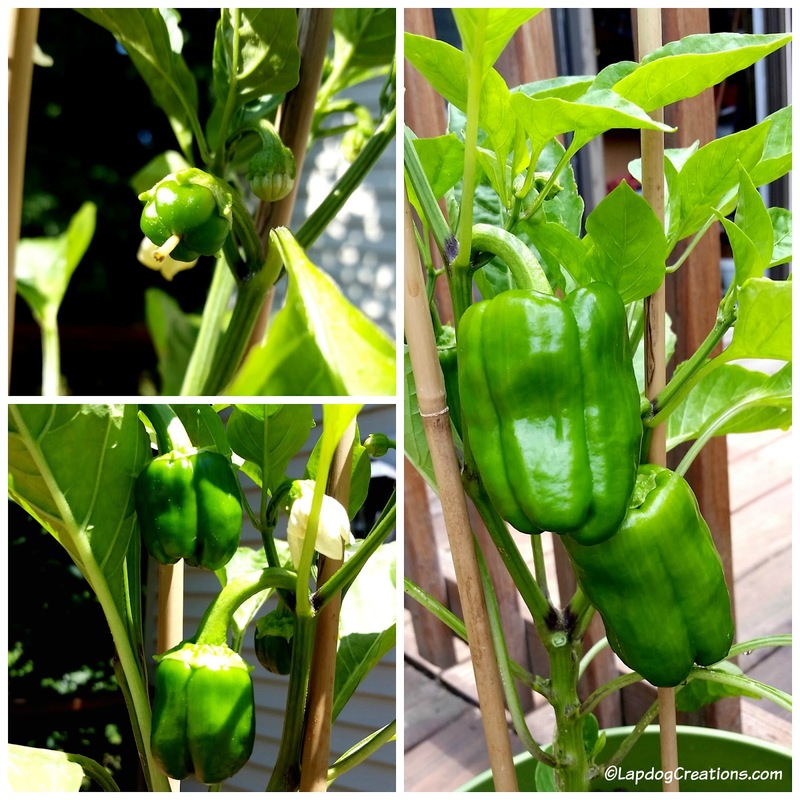 For a brown thumb, your vegetables look great! We didn't plant a garden this year and I really miss it. I'm laughing at Lola eating the cherry tomatoes. My yard is too shady for a real garden, but I enjoy having a few potted tomatoes, peppers, and herbs. My tomatoes haven't even blossomed this year, so I'm not sure if we will get any this summer. Theo would definitely try to pluck the cherry tomatoes if he could reach them. Forgot to add- I absolutely love basil and tomato salad too- your tomatoes look amazing . I might be stealing them too LOL. I grow basil on my back deck but have had trouble with bugs this year. You have a much greener thumb than me. Thanks for sharing that list! Ours aren't really getting ripe as they should... I think the heat is not helping this year. 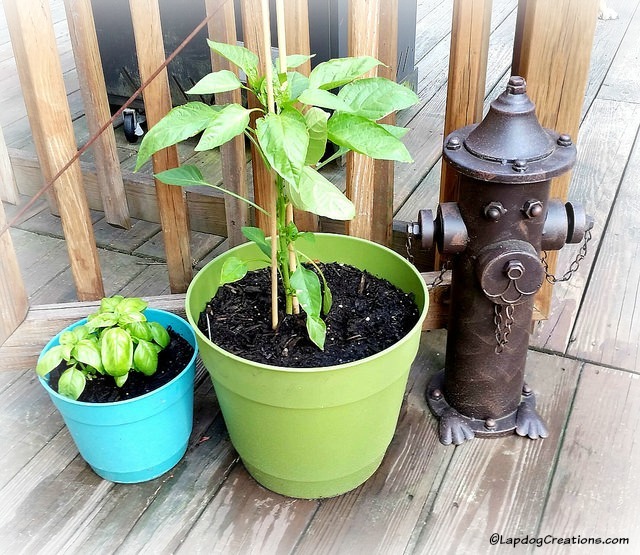 Well for someone who doesn't have a green thumb your container garden looks fantastic! So lovely. I love gardening, both flowers & veggies. Enjoy all those beautiful edibles! I have container plants in the backyard but would love to have some that included vegetables. Great idea.